Welcome to Day 15 of the Law of Attraction Challenge! We are half way there and have learned so much about the law of attraction and how to make it work for us. As you have probably now realized, the law of attraction goes much deeper than what The Secret has taught us. Speaking of going deep, there is a way for us to go deep within ourselves, clear the clutter of our thoughts, relax and focus on what's important. It's called meditation. Meditation has been practiced since ancient times and continues to grow in popularity. Meditation is used for many different benefits including stress reduction, bringing happiness, clearing our minds, helping to resolve problems in our lives, giving us a sense of Oneness and connectedness, helping us worry less, and many many more. Seriously, meditation can benefit us all so much. Meditation has been a huge help in my life. Sometimes, I will focus on meditating about a specific topic and will feel rejuvenated and more clear on the topic. Other times, I just focus on clearing my mind and allowing whatever needs to surface to come about. There have been quite a few meditation sessions that resulted in life-changing realizations. It has helped me to solve problems I had been facing. It has helped me make decisions I was unsure of. It has helped me strengthen relationships that I didn't even realize were being harmed until I sat down and cleared my head with meditation. I could honestly go on and on about my experiences with meditation and the massive amounts of research and findings about it, but as you know, I like to get right to the point. We're going to learn the very simple techniques of meditating and then how we can use this tool to expand our knowledge of the law of attraction and aid our success with it. I'm going to guide you into a nice relaxed meditative state. Remember, you will always have full control of your body and can open your eyes at any time. Either sitting comfortably or lying down, allow your body to relax. When you do this on your own, now is a good time to close your eyes, but since you are reading this, it will be alright to keep them open for now. Close your mouth and start breathing normally through your nose. Shift your focus to your feet and toes, letting them be fully relaxed. Not a single muscle should be tensed. Move your attention up your legs allowing them to relax. Move up your torso and down your arms, releasing the tension from all of your muscles in your back, chest, core, shoulders, arms and fingers. Be completely relaxed. Move your focus to your neck and your head, releasing all muscle tension in your jaw and around your eyes. Many people don't realize how often we keep our faces tensed. Now that we have our entire body relaxed, we want to clear our minds of all thought. To do this, focus on the breaths you are taking in and out of your nose. Continue breathing normally and count each time you exhale. When you count to five exhales, take a nice, long deep breath in, filling your stomach, then your chest and then into your throat until you can't inhale any more comfortably. Hold this breath for a couple of seconds and exhale fully. Go back to breathing at a normal pace through your nose. You should notice your normal breathing is at a slower pace now. Continue this five-count pattern as many times as you'd like until you are in a deep relaxed meditative state. You are now meditating. Close your eyes for as long as you'd like. If you happen to get a random thought to pop up in your head, don't worry about it. Just acknowledge the thought and then go back to focusing on your breathing. This will happen less and less the more you meditate. If you meditate on a daily basis, you will be able to simply close your eyes and bring yourself into a meditative state instantly. It just takes practice. The meditative state feels like you are inside of your own body. You don't have any focus on the outside world, just what is going on in your body and in your head. It is a blissful place to be. When you get to this meditative state, you may allow your focus to be on the law of attraction and visualization of yourself with your manifestation. The goal is to come out of the meditation with a certainty about your reality and about the type of person you are. You may come out feeling very recharged, alive and even like a new you. It is a wonderful feeling! Practice meditation. The more you do it, the better you get, the better results you get, the better you life gets. Do things that you enjoy and make you happy! Be grateful for all you have and receive! Take action and "Follow the Rabbit"
Like the Facebook and Google+ pages to receive links to the Law of Attraction 30 Day Challenge. You can also be notified via email by subscribing in the left column of this page. Have you had success with the law of attraction? Click below to share your success story or read, comment and vote on success stories other visitors have already shared! 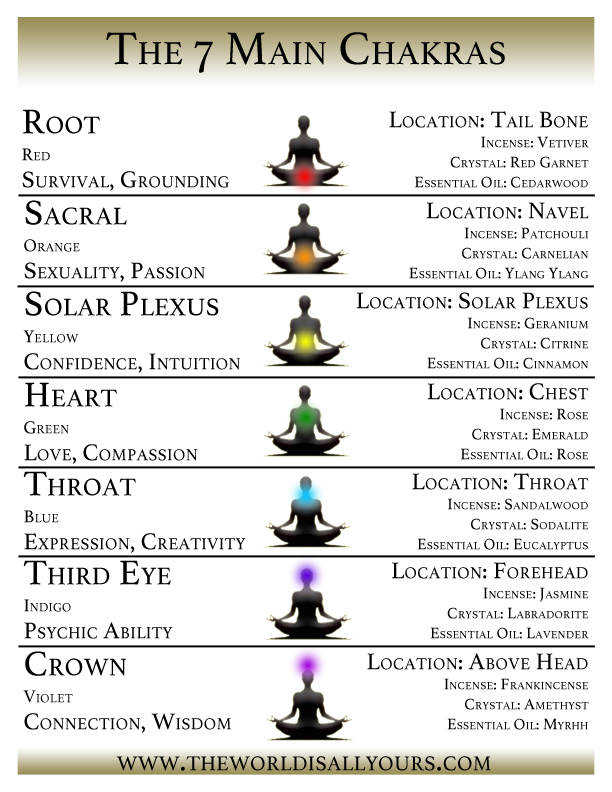 A FREE Chakra Reference Sheet and a FREE copy of Simple Success! A quick how-to guide on being successful with everything you do! I promise to use it only to send you The World Is All Yours. Was this page helpful? Build good karma and share it with others! Be the Prize is now available! 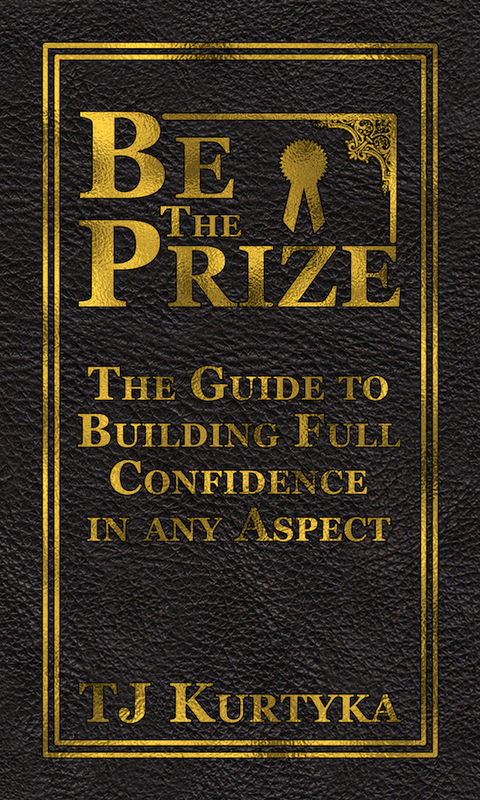 Be the Prize is the easy-to-read guide to building full confidence in any aspect of your life. Composed with a straight forward and to the point layout, this book will lead you through a mental, physical and even s.. Thinking about starting your own website? Build Your Own Online Business with SBI! 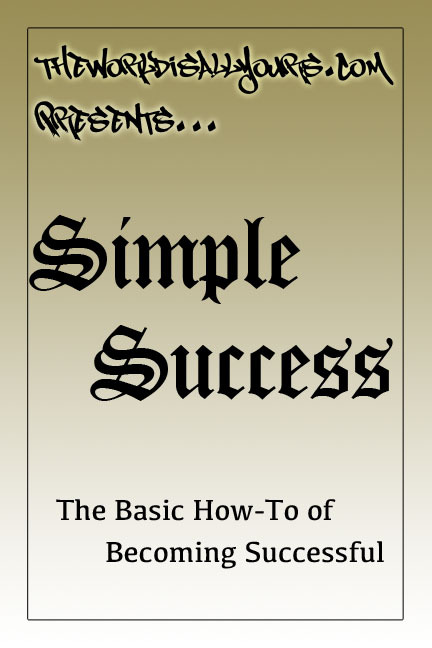 Join The World Is All Yours Elite Team to receive your FREE copy of Simple Success! A quick how-to guide on being successful with everything you do!